Just after Disney announced a new Star Wars movie trilogy from The Last Jedi director Rian Johnson, Disney CEO Bob Iger told investors on a quarterly earnings conference call that the studio is developing a Star Wars live-action TV Show as well. The series is being planned for the studio's new streaming service, that will be ready to launch by the end of 2019. While no details about the show itself have been given, there have been numerous rumors about a live-action Star Wars TV show throughout the years, and it seems this is finally coming to fruition. Disney announced in August that it will be ending its streaming deal with Netflix that allows them to show Disney movies, because the company is starting its own streaming service. Another report from September claimed that both Marvel and Star Wars movies will help launch this streaming service, despite other reports that Netflix was in talks with Disney to keep Marvel and LucasFilm movies. In addition to this Star Wars TV series, Disney is also developing a TV show based on the hit Pixar movie Monsters Inc., the High School Musical franchise and an unspecified "original entry" from Marvel. There has been talk of a live-action Star Wars TV series for years, with reports that George Lucas was developing a live-action Star Wars TV show with ABC, before he sold LucasFilm for $4 billion back in 2012. Still, despite a rash of rumors, including one in 2015 that claimed LucasFilm and Netflix were developing three live-action Star Wars TV shows, none of these rumors ever came to fruition. There was also talk that a Star Wars show could be developed for the Disney-owned ABC network, but now it seems the studio is focusing on getting their nascent streaming service off the ground with a new Star Wars show. On the small screen, the Star Wars franchise has found much success, with a number of hit animated shows lead by Star Wars Rebels, which is currently in its final season, although there has been talk that a new Star Wars animated series will be announced soon to take its place. Other animated shows like LEGO Star Wars: The Freemaker Adventures and LEGO Star Wars: The Resistance Rises have also been quite popular as well, but many fans have long been craving a weekly Star Wars live-action series. It seems Disney and LucasFilm are finally getting ready to give fans what they want, but there are still a lot of questions that need to be answered. For one, it remains to be seen where in the expansive Star Wars timeline this show will be set. The departing series Star Wars Rebels was set in the same timeline as Rogue One: A Star Wars Story, which lead to a crossover with Forest Whitaker coming aboard to voice his beloved Saw Gerrera character from Rogue One. With a live-action show, it's possible that fans could see the stars of their favorite Star Wars movies pop up for guest-starring appearances and/or cameos, which would surely help draw viewers to the show. Still, as of now, very little is known, with Variety breaking the news earlier today. 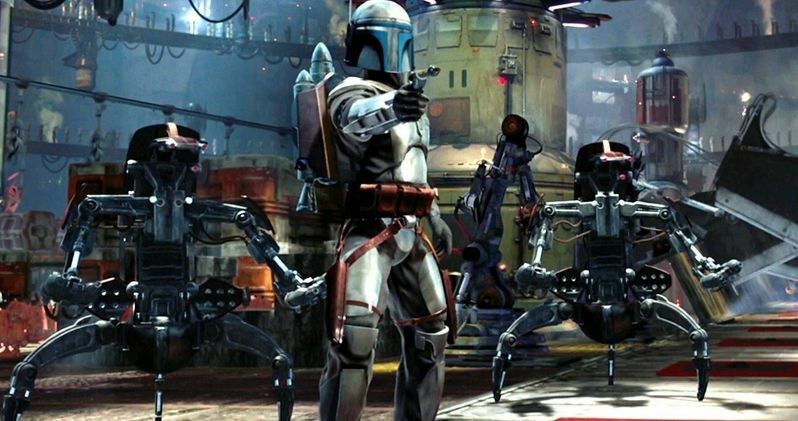 Hopefully we'll find out more from Disney and LucasFilm about this Star Wars TV series soon.